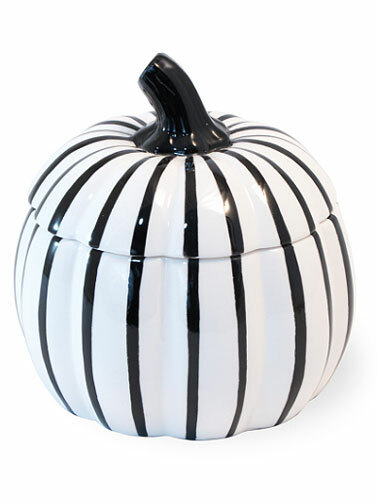 This White and Black Ceramic Pumpkin Dish will compliment many Halloween decorating themes and makes a nice gift. 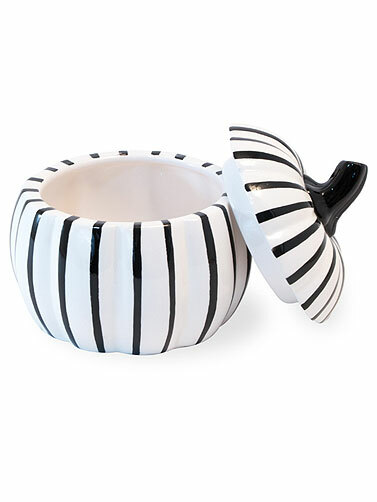 Ceramic pumpkin dish includes a lid, is white with black stripes, and hold 2 cups of your favorite candy, sugar, or similar product. Lid and dish are microwave and dishwasher safe. White and Black Ceramic Pumpkin Dish measures 4" Dia. x 5"H.